While Adobe Photoshop is considered by most web designers the best and most versatile graphic editing tool, it comes with a steep learning curve and mastering it takes hours or practice. Once you purchase the program, install it on your computer, and run it for a first time, you can get easily overwhelmed by its countless features, but by finding a great Photoshop tutorial site and reading and following some well-written tutorials, you will be on your way to learning some great new skills. We have taken the time to put together a list of 10 excellent Photoshop tutorial sites, which will help you master this powerful graphic editor and improve your image-editing techniques. The website is loaded with excellent design articles, showcases, and roundups, has a RSS feed to which you can subscribe, and allows its members to post useful links, vote, and comment on the tutorials as well. 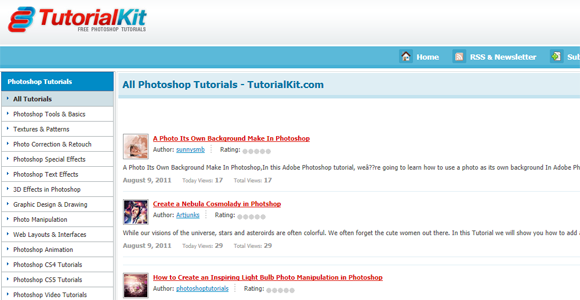 Here, you will find excellent and easy to follow tutorials, which are supported with plenty of screenshots. The website also has a download section, from where you can download textures, brushes, and graphics. The website offers a wealth of tutorials on 2D and 3D graphics, audio editing, desktop programming, databases, game and skin editing, website development, video editing, and more. 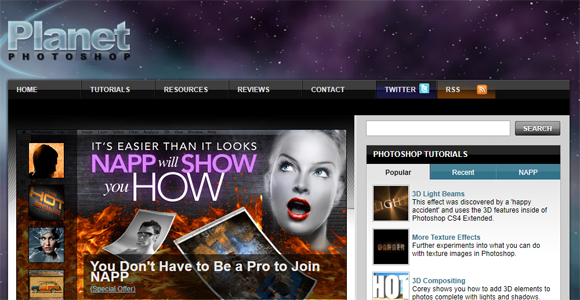 It has a well-stocked Adobe Photoshop tutorials sections too, which is also one of the most popular on the site. 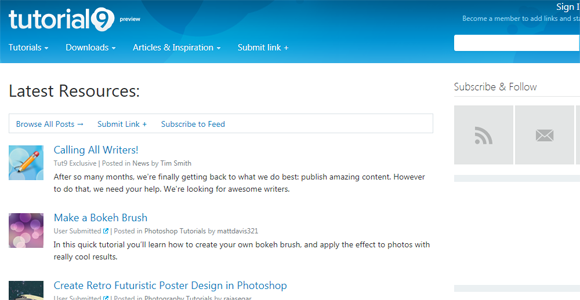 With more than 10 000 Photoshop tutorials at the time of this writing, you are certain to find whatever you are looking, and you can start by checking out the top viewed or the top rated publications. 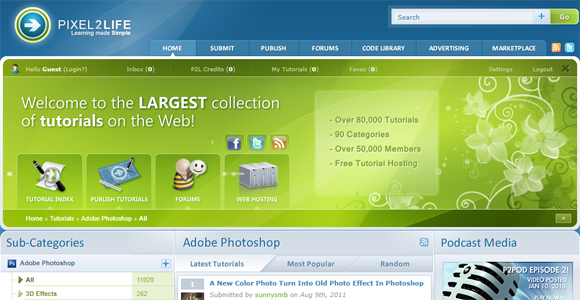 Good Tutorials is another excellent place to start learning Photoshop and learning new designing skills. The Photoshop section covers the basics, animation, color, designing, effects, scripting, text effects, web graphics, photo effects, photo retouch, and other interesting topics. Whether you are new to Photoshop or a seasoned designer, who knows his or her way around this powerful tool, this is a website well worth bookmarking. A lot of effort has gone into compiling these tutorials, they are supported by decent number of screenshots, and all of them are extremely easy to follow and understand. They are also conveniently categorized into sections, covering 3D effects, drawing effects, abstract effects, text effects, textures and patterns, photo effects, and UI design. 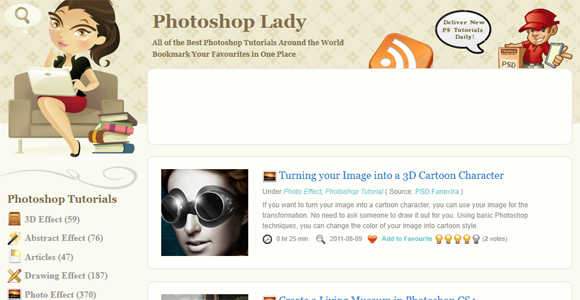 PS lover is another excellent site, where you can find well-written Photoshop tutorials, divided into ten major categories. Register on the website if you wish to publish a tutorial and start from the Basics if you are new to Photoshop. Tutorialized is a website with thousands of tutorials on Flash, Photoshop, Gimp, Illustrator, 3D Max, AutoCAD and other popular tools, and offers tutorials on Web design and development, business tools, and databases as well. 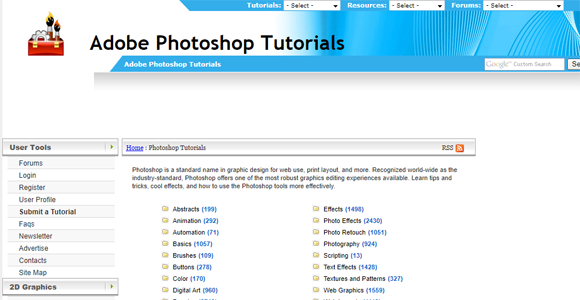 The Photoshop tutorials are more than 15 000 and neatly divided into 18 different categories. 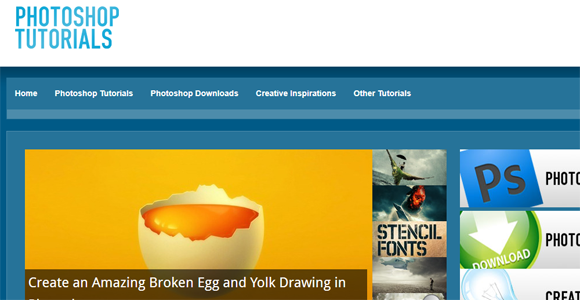 Tutorial Kit is another site, packed with excellent Photoshop tutorials. 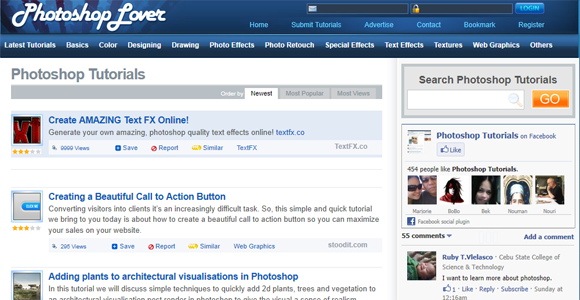 Load the website in your browser, navigate to the category you are interested in, and start browsing the listed tutorials. Each tutorial opens in a new browser window and you can rate or bookmark each one of them. 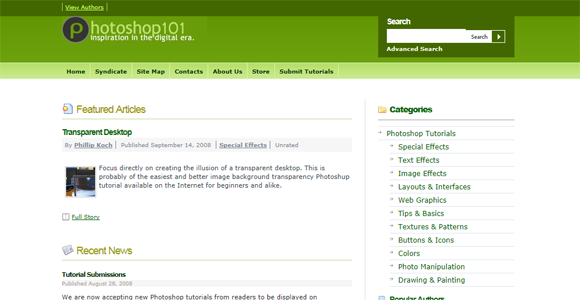 Photoshop 101 has tutorials that cover special effects, image effects, layouts and interfaces, text effects, textures and patterns, web graphics, drawing and painting, colors, photo manipulation, and other topics. 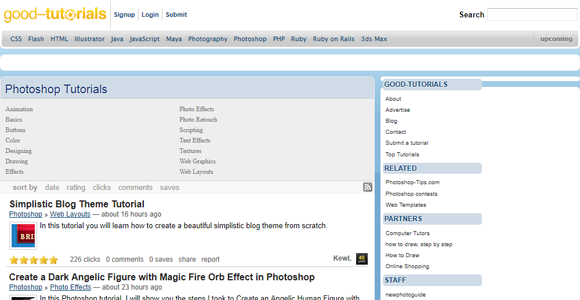 Planet Photoshop offers Photoshop resources, reviews, and tutorials. You can search the tutorials by keyword, check out the most popular or the most recent of them and you can watch some premium video tutorials, courtesy of the National Association of Photoshop Professionals (NAPP). As with all of our lists this is just our opinion, we know there are a lot more sites out there. Please let us know your favorites in the comments. Amazing set of tutorial. Each one of them is useful.